We offer revolution alternative to allergy shots and medication for many chronic conditions. Warner Chiropractic and Allergy Relief Center! Conveniently located in the heart of Jefferson City, TN, our main ain goal is to help improve your quality of life! By providing safe, gentle, and effective chiropractic healthcare, Dr. Douglas Warner can help you achieve maximum pain relief and overall wellness. 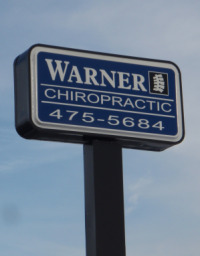 Dr. Warner has been a licensed chiropractor for twenty-nine years and is experienced in providing corrective care that is non-invasive and safe for all ages. Back pain, neck pain, whiplash, headache, and sciatica are among the many conditions that can be effectively treated with chiropractic. Allergy relief and freedom from symptoms associated with chronic/recurring conditions can also be achieved with BAX 3000 Neurological Stress Reduction Therapy. Patients seeking treatment at our office are assured of receiving only the finest quality care through the use of traditional chiropractic techniques as well as modern equipment and technology. Please take a few minutes to familiarize yourself with our website and sign up for our award-winning newsletter. Please contact us if you have any questions or would like to schedule a FREE consultation. We look forward to hearing from you and helping you meet your healthcare goals! ""I found Dr. Warner in a newspaper ad. I suffered from multiple allergies--my cats, the wood fireplace at my work. I had developed a cough that wouldn't stop, I kept losing my voice. I felt more energy and lost my cough in the first week. I no longer take any allergy meds. I was taking 5 pills and eye & nose drops. I also lost my upset stomach from random foods. My quality of life is better than I have ever had. I feel wonderful. Being able to watch the leaves change without sneezing. This is a blessing. The cost is nothing compared to getting your life back."" ""Just thought I should let you know of the good news I recently got about my Crohn's Disease! I had a colonoscopy about a month ago and my specialist told me that my Crohn's is all cleared up. He told me that if I ever have symptoms again I will have to be referred to him by my family doctor - he doesn't consider me his patient anymore. I don't know if I've ever heard of this happening before - it's pretty amazing. Thanks again for all your help! Really appreciate it!""